As GameSkinny’s new Commerce Editor, I’m not here to give you product reviews. Instead, in my Launch Commerce articles, I’ll show you some of the best deals and fan favorites for all your gaming and tech needs. 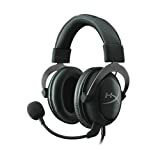 If you want a high quality headset without breaking the bank, here’s my 3 favorites from top headset brands, Kingston, Logitech and SteelSeries -- all under $100 and with at least 4 stars and 1800+ reviews on Amazon. The HyperX Cloud II has a USB audio sound card with 7.1 virtual surround sound and a noise plus echo cancelling microphone. 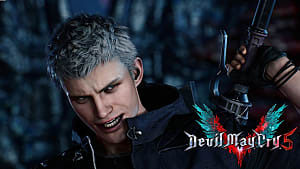 The headset comes in gunmetal, red ($90.19), and a less expensive white and pink version at $84.99, if you want to save a few bucks. The Cloud 2 was IGN’s editor’s choice with a 9.5/10 rating. 2,151 reviews, 4.5 stars = we love it! The Logitech G230 provides stereo sound, has a noise-cancelling mic and comes with on-cable sound controls -- all the essentials for a good gaming headset. Gadget Review gave this pair a 4.5/5 for its “fantastic” audio and affordability. 2,056 reviews, 4 stars = crowd pleaser! 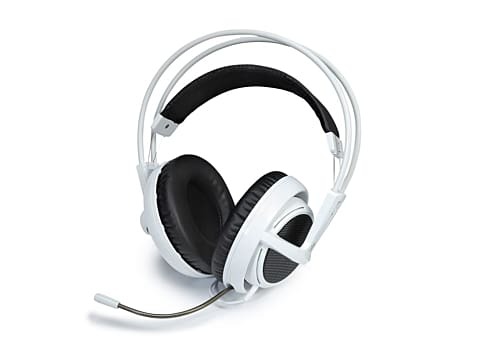 You can get a really great SteelSeries Siberia v2 headset on the cheap if you don’t mind white ($46.99). This lightweight headset has a pull-out microphone, clear high, low and midtones, and on-cable volume control. It comes in 9 different colors, each priced differently. Engadget’s average critic score gives this headset a 9.6/10 for sound quality and 9/10 for voice/mic quality -- definitely a must-try at under $50. 1,887 reviews, 4 stars = crowd pleaser!